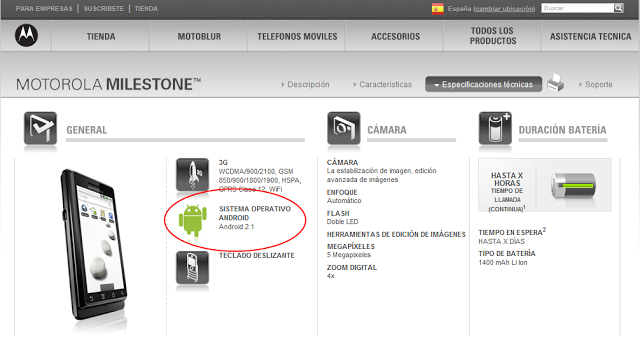 spanish motorola milestone has android 2.1 already? as far as i can tell, that title is completely correct. not a type-o. not me in a late night, half asleep stupor, but the truth. according the the motorola website, the spanish milestone is officially on android 2.1 and is already equipped with Flash lite v3.1.6.